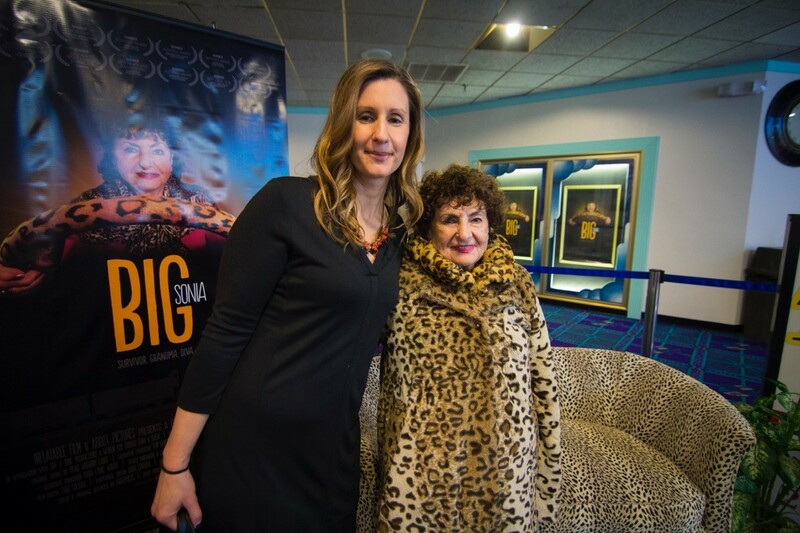 Leah Warshawski and her grandmother, Sonia, at a showing of "Big Sonia." 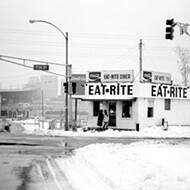 The film has received 18 awards and broken sales records in Kansas City. Sonia Warshawski, 92, likes to keep busy. When she’s not working at the tailor shop she has owned for more than 30 years, she’s going into schools and prisons for speaking engagements or making gefilte fish from a family recipe. 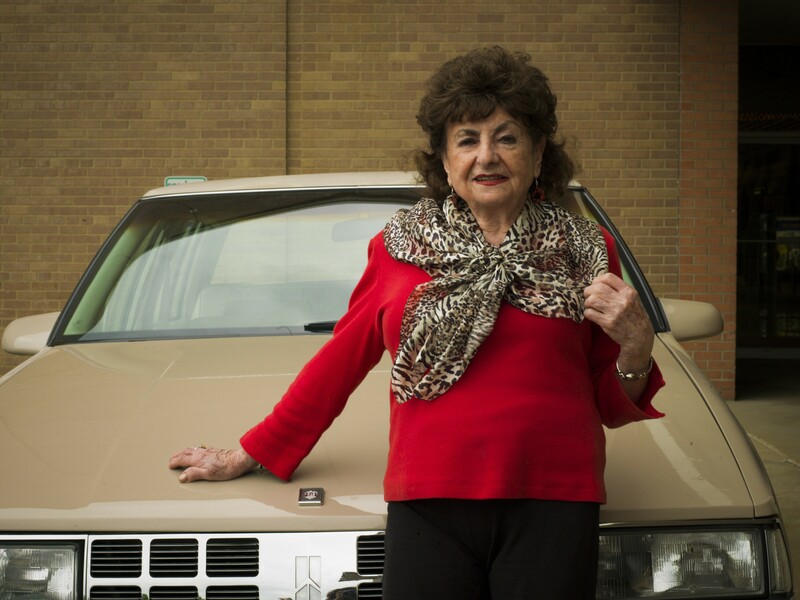 The four-foot-eight-inch Holocaust survivor is also the subject and star of Big Sonia — a 93-minute documentary detailing her life as of one of the last living survivors in Kansas City, Kansas. The film has screened at 63 film festivals, earned 18 awards and played in theaters across the country since its festival premiere in November 2016 and theatrical premiere one year later. And now Big Sonia is coming to St. Louis, the hometown of its producer and co-director, Leah Warshawski. (Yes, she’s Big Sonia’s granddaughter.) Screenings are set to occur at Webster University’s Winifred Moore Auditorium June 1-3. All showtimes are at 7:30 p.m. Despite the film’s success (it broke sales records at the Rio Theater in Overland Park, Kansas, during its 6-month run), St. Louis area theaters have not picked up Big Sonia. Leah Warshawski says one hope of the weekend-long screening is to spark the interest of a theater in St. Louis. “We can’t get a formal theatrical release in St. Louis for some reason,” she says. Leah Warshawski, who graduated from Clayton High School in 1996, says she and her family will come out in “full force” for the Webster University screenings. After the film ends, audience members will have the opportunity to participate in a Q&A session with the film’s creators and various Warshawskis. The family wants to do everything they can to have Big Sonia play in a theater in St. Louis for longer than the three days it’s scheduled at Webster University, Warshawski says. 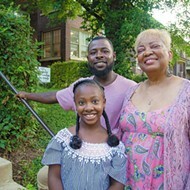 Though Warshawski expresses disappointment with Big Sonia not yet having a formal theatrical run in St. Louis, she says her ties to St. Louis compelled her to bring the film to the place she grew up and where some of her family members still reside. "Big Sonia" is the story of Sonia Warshawski, a 92-year-old Holocaust survivor. Warshawski and her husband, Todd Soliday, set out to create the documentary in 2011. Both filmmakers, they wanted to capture the life of a Holocaust survivor before it was too late. “We knew that within our lifetime all of the Holocaust survivors would be gone,” she says. According to Warshawski, the themes of love over hate, intergenerational trauma and overcoming obstacles reach audiences who may not directly relate to her grandmother’s experiences. “Big Sonia” has received a 93 percent rating from critics on Rotten Tomatoes. Visit the film’s website for more details, or watch its trailer below. BIG SONIA Theatrical Trailer from Inflatable Film on Vimeo.